​A series of workshops for aspirant board members who want to enhance the practical skills they require to positively contribute to the performance of the board. Board members might have many years of corporate experience, and might have some knowledge a board member needs, but this does not necessarily mean that they will have the interpersonal skills they need to succeed at this level. The design of this series allows delegates to participate in simulated board meetings where important decisions are made. The focus will be on the behavioural skills needed to make a significant impact in this role. During this experiential programme, delegates will take on the roles of board members, and participate in a simulation which has been designed to give you the opportunity to make critical decisions which board members are typically involved in. All participants will be assigned key roles such as 'Chairman, CEO, CFO, Chairman of Audit' etc. Decisions made in the simulation will be matched to these functions. Experienced facilitators who are board members in the real world will fulfill the role of Chairman or Company Secretary to facilitate the simulated decisions. Delegates will receive board packs for each session, and a specific scenario will be created. Decisions will have to be made, and these are factored into the simulation, so that the outcomes can be experienced in real time. The series will comprise of 5 one-day sessions, with the simulation taking place in the morning, followed by a debrief in the afternoon. In addition, knowledge sessions and discussions will take place in the afternoons covering the theory linked to the content of the morning's simulation. 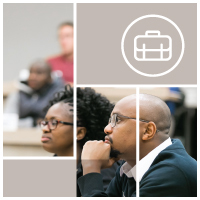 This 5-day short learning programme contributes towards the CPD of Certified Directors and Chartered Directors (SA). An individual who has successfully completed all 5 days will be awarded 14 CPD Hours in the category “Courses, seminars and conferences”. This programme will appeal to new or aspirant board members who will benefit from enhancing their behavioural skills in board meetings. Test your ability to give input on the strategy and plans of the company. This 5-day short learning programme contributes toward the CPD of Certified Directors and Chartered Directors (SA). An individual who has successfully completed all 5 days will be awarded 14 CPD Hours in the category "Courses, seminars and conferences".